Following the news that the Carbon Monoxide Awareness charity faces closure, a programme which raises awareness of carbon monoxide poisoning is on the look out for more local partners to champion its cause. The Be Gas Safe programme was launched across England earlier in the year and has so far seen more than 3,000 carbon monoxide alarms distributed to older people and families with young children, both of which are regarded as key risk groups. Now the Gas Safe Charity along with the Royal Society for the Prevention of Accidents (RoSPA) is appealing for more organisations to get on board and join forces with the 15 local partnerships already established to highlight the dangers of carbon monoxide poisoning. 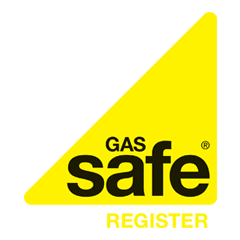 Be Gas Safe is making a real difference in helping save lives and reduce carbon monoxide related illnesses and accidents and is keen to hear from potential partners across England and Wales. Any organisation keen to become a local partner will receive up to 100 carbon monoxide detectors to distribute to vulnerable clients, alongside 1,000 ‘I’m Staying Gas Safe’ leaflets and a pack with information about running a local Be Gas Safe programme.